The internet has become the basic need of humans and imagining our day to day life without it is impossible. Websites on the internet provide us with different services for our ease and social media allow us to interact with friends on different platforms. Nowadays, everyone has cell phones and wants to access the internet on their personal devices. Wi-Fi connection and broadband facilities are not available everywhere so, mobile combines provide their customers with data connection through SIM card. Rates of mobile data are usually high and most customers rely on different internet packages for their convenience. Recently, Zong has introduced an amazing internet package in the name of the Daytime offer to its customers. The offer gives you the freedom to use up to 1 GB of mobile data for a whole day at lowest possible rate. All essential details of the offer are provided below. You can subscribe to Zong daytime offer by typing “dto” and send it to 6464. After successful subscription, you will get a confirmation message. Zong users can activate the daytime offer at an affordable price of Rs 16 including tax. No extra or hidden charges will apply. Zong daytime offer will provide you with 1200 Mbs of mobile data to surf the internet for a whole day. You can use the internet from 4 am to 7 pm. You can unsubscribe the Zong daytime 3G / 4G offer by typing “unsub dto” and send the message to 6464. To check the remaining data Mbs of your package dial *102#. You will receive a message shortly. You will be charged 10 paise for each inquiry. 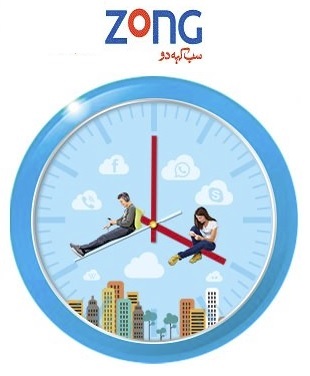 Zong daytime 3G / 4G offer is only for prepaid, postpaid, MBB and internet SIM subscribers. 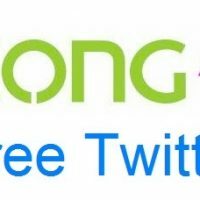 2G/ 3G/ 4G internet users of Zong can subscribe the daytime offering. It is a daily offer which is applicable for a specific time. The validity of the offer is from 4 am to 7 pm. You can subscribe the bundle with other internet offers. The offer is auto recursive; it will auto-renew on daily basis. In case of insufficient balance, the package will be deactivated. On recharge, bill and other usages withholding tax of 14% will apply. Sales tax will apply according to a regional basis. Zong daytime offer gives you the opportunity to use unlimited mobile data for a whole day at an affordable price. If you are a Zong prepaid users don’t miss the opportunity and subscribe to daytime offer now. Question: What is the subscription method? Answer: You need to type dto and send message to 6464 to activate Zong Day Time 3g / 4g offer. Question: What are the subscription charges? Answer: There is no subscription charge however, Rs.16 Incl. tax will be charged to activate this package. Question: How to un-subscribe Offerr? Answer: Zong Day Time offer can be deactivated by writing in message unsub dto and send it to 6464. Question: How many MBs are offered in the offer? Answer: 1200 MBs of mobile data for entire day is offered. Question: Can postpaid customer avail this package? Answer: No this offer is available for prepaid customer. Question: What is the timing of this offer? Answer: This package is available from 4 am to 7 pm. How to check remaining MBs? Question: What is the Price of Package? Answer” Rs.1600 Including all taxes.